Sorry, we are presently out of stock. We have this item on order from Behmor but do not know when they will be available. Please click 'Notify Me' below to add yourself to our Wait List and we will inform as soon as more arrive. There is no obligation. A simplified clasp on the lid that just clips over a detent on the body. Now has welds at each intersection of the grid. 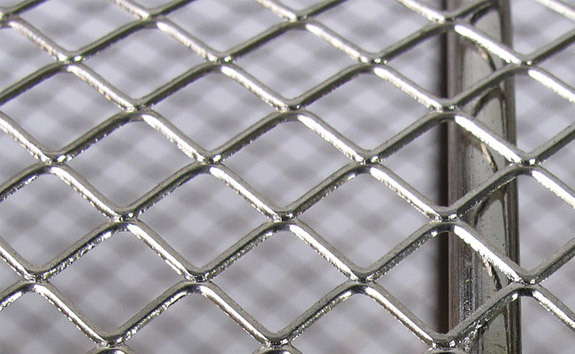 The prior model had a basketweave pattern. Diagonal pattern replaces square box pattern. This is now the standard grid that will come with Behmor roasters. It can be ordered separately should you want to have an extra on hand, or, if you need a replacement. The prior generation is perfectly good and if you have one, please do not feel that you need this new one. This was developed to address issues that just a few experienced. Latest grid, December 2012, has welds at each intersection. 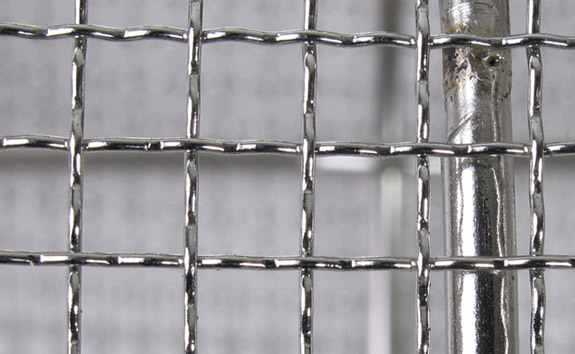 Prior grid (being replaced) had a basketweave pattern but no welds. When Behmors were originally introduced more than a decade ago the cylinders had larger spacing and a grid with smaller openings was at first offered as an option for roasting smaller beans, like those from Yemen or some Ethiopia varieties. At some point it seemed obvious the 'small' grid could be used for everything and the larger one was discontinued. The only flaws discovered were that the basketweave could develop spaces large enough for beans to fall through, though this hardly ever happened; and the clasp, if treated roughly, could snap. Now, this third generation model, which has about the same opening size, is available. The latest Behmor AB produces excellent home roasts and has smoke suppression technology. Roasts up to a full pound. Our best seller.